Here at Chartwells, we are very conscious that the pupils we feed at school enjoy the best possible lunch made from the finest ingredients. We aim to cook all our meals from scratch by our skilled kitchen teams and our accreditations include the Soil Association Food for Life Mark, Free Range Eggs, Red Tractor and organic meat, actively supporting British farmers in our purchasing practices and use of local suppliers where possible. To add to our healthy catering commitments, we are working closely with Merton Council’s Public Heath team to achieve sugar reduction across our menus. We are delighted to announce that over the past 8 months we have successfully reduced the total sugar on the menus by approximately 5%, surpassing our target of a 5% reduction within 12 months. We will continue to work closely with our food development team and suppliers to ensure we continue to make incremental reductions in sugar across our menus, with plans to achieve a 20% reduction by 2020. Chartwells cater for approximately 10,000 children in Merton every day so the result of these small recipe and menu changes is extremely impactful. Emma Hookham, Pupil and Parent Engagement Manager at Chartwells said: “We’re passionate about providing children with healthy and nutritious meals. We are working closely with Merton’s Public Health Team to ensure our menus are nutritious and well balanced, and we are pleased with the results we have achieved far”. 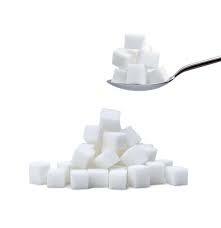 To find out more about our sugar reduction programme in Merton, please contact Emma.Hookham@compass-group.co.uk.